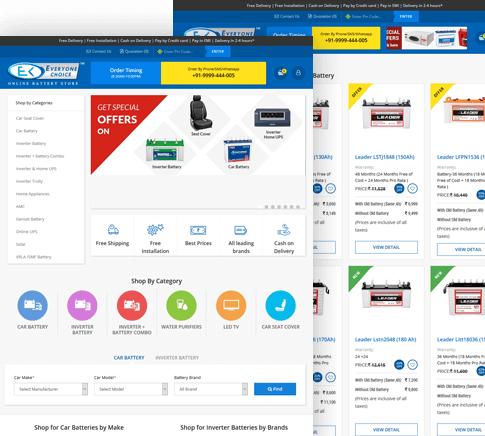 The Online Visibility of their Online Battery Store was very low, the online store was having very less traffic and sales were less. The challenge was to leverage digital marketing techniques to increase the brand presence online. The company’s ad campaigns were not performing as desired. We had optimized there SEM ads which resulted in increased conversion rates and substantially drive more prospects for sales. Precise choice of keywords to ensure relevancy of search ads was taken care of. The keywords were promoted with the right content marketing and thus resulted in 1 page rankings.The solutions our team came up with helped them to take their Online store to the masses in the targeted region.